Medicare is primarily known as the United States federal health insurance program that is available to American citizens who are ages 65 or higher, but Medicare also covers other smaller groups, such as people who suffer from a disability. Founded in 1965, Medicare has grown to become the most important provider of health insurance to older Americans. 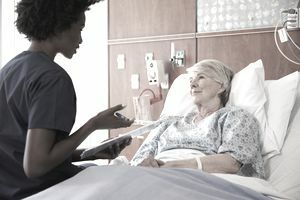 Although various media reports have discussed the potential long-term insolvency of Medicare, the program's popularity nearly guarantees that the government will find a way to continue to fund the program. More retirees have come to all but rely on Medicare for their health care needs in retirement. But simply planning to enroll in Medicare benefits at the age of 65 is not enough of a plan for your health care. There is much to know about Medicare and its various parts, particularly when it comes to what it covers and what it doesn't. Understanding Medicare is the first step in planning for your health care in retirement. Health care expenses are one of the least predictable and potentially most expensive parts of retirement planning. Medicare does wonders to introduce some structure to the health care maze, but it is only one piece of the puzzle. To make matters more difficult, the programs within Medicare are quite complex, and most retirees do not entirely understand what their benefits are with Medicare. Medicare Part A is known as hospital insurance, as it covers hospital expenses like inpatient hospital stays, skilled nursing facility care, and hospice. In addition, Part A covers other services like lab tests and surgeries, as well as necessary medical supplies like wheelchairs and walkers. Medicare Part A is perhaps the most well-known part of the Medicare program because it is provided at no additional cost to retirees (and their spouses) who have paid at least 10 years into the system. But Part A is generally considered emergency coverage, as it is the bare minimum in terms of health insurance coverage. While it's better than no insurance at all, most retirees opt for additional coverage in the form of Part B.
Medicare Part B is known as medical insurance, as it is an extension of the hospital and medical supply/equipment insurance provided by Part A. Part B of Medicare covers preventative care, doctor visits, lab work, and outpatient services such as physical therapy. Part B can also cover costs like ambulance services, mental health services, and some prescription drugs. The most important piece of Part B is that is covers what is considered preventive care, not just the medical necessities of Part A. To receive Medicare Part B coverage, however, you must be eligible and pay a monthly premium. The amount of the premium varies based on your income, so the more you make in retirement, the higher your Medicare Part B premium will be. But even between Parts A and B, there are still gaps in coverage. For instance, even with Part A and Part B coverage, services like long term care, most dental care, annual eye examinations, and hearing aid services are not covered. Medicare Part C is commonly known as Medicare Advantage. At a high level, Part C provides an alternative to Parts A and B and usually eliminates the need for Medigap insurance. (Medigap insurance is a commonly selected option for those with Parts A and B. Medigap covers some on the holes in Medicare coverage). Part C is actually offered through private companies that contract with Medicare to provide Part A and Part B benefits. The primary benefit of Medicare Advantage Plans is the choice of organization to contact with (such as an HMO, PPO, Medical Savings Account Plans) as well as the possibility of a more comprehensive prescription drug coverage. One of the biggest coverage gaps in the Medicare Parts is prescription drug coverage. Established in 2003, Medicare Part D is the newest part and it covers prescription drugs for those who choose to purchase this part through the payment of monthly premiums. Like Medicare Part C, Part D is offered through private companies that contract with Medicare. To enroll in Part D, you must have either Parts A and B or Part C. Like all insurance policies, there are variations in terms of deductibles. For more information on Medicare, how it works, and how to enroll, be sure to check out the Medicare website. What Medical Expenses Deductible in Retirement?